We live in times when the appeal of SUVs is at an all-time high. Customers are thronging dealerships to check out the latest SUVs manufacturers have to offer. 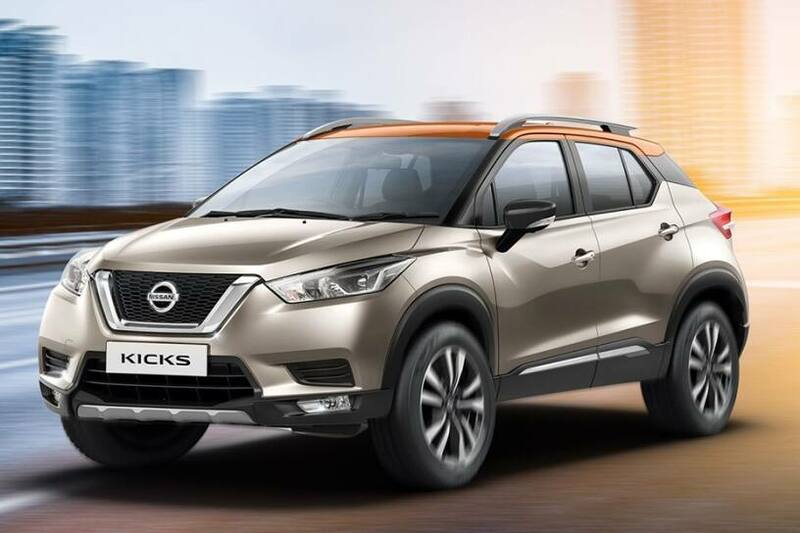 Though the current crop of SUVs may brag about their macho appeal, they lack intelligent features that the Nissan KICKS has to offer. It is the only intelligent SUV in its segment with first-in-class tech features like 360-degree around-view monitor and smartwatch connectivity with Nissan Connect app. While tech and safety is a high priority, luxury is also at the forefront when it comes to the KICKS. The KICKS is the only SUV in its segment to get a leather-wrapped dashboard, door pads and seats, unlike the leatherette seat-equipped competition which claims to have a 'full-leather interior.' Add to that great after-sales service and low cost of maintenance, that make the Nissan KICKS a great value-for-money-package. We take a closer look at five reasons why the KICKS is a better option than any other SUV in the same price bracket. 1) Road Presence: Being an SUV, the KICKS has good road presence to begin with. What adds more oomph to the design is the big and chunky V-motion chrome grille up front along with the muscular and chiselled styling. What’s more? The KICKS comes with the option of a dual tone colour scheme, unlike the single tone paint scheme offered on most SUVs. The diamond-cut alloy wheels and roof rails also enhance its road presence. Being an SUV, the KICKS also features a high roofline which means better ingress and egress. 2) Intelligent Features: Parking in the city can be quite a task, especially when it comes to big SUVs. Getting in or out of tight parking spots is a challenge an SUV owner faces on a daily basis. Nissan has a solution with its intelligent SUV, the KICKS, to simplify your parking woes. The KICKS comes equipped with Around View Monitor, a 360-degree camera that relays the surroundings on an 8-inch touchscreen. In comparison, similarly priced SUVs offer rear parking sensors and a rearview camera at best. It’s not just parking in tight spaces where the Nissan KICKS shines. The dual chamber LED projector headlamps offer exceptional throw, keeping the road well illuminated at night. Another boon is the smart card that allows keyless entry into the SUV. So if you do not like carrying a bulky key fob around, you can just carry the smart key in your wallet. 3) Warranty & Ownership: While buying a premium SUV, the most worrisome part is the cost of ownership. While this might be true in most cases, the Nissan KICKS shines here as well. Puts your worry to rest with a comprehensive 3-year value package which includes 3 years maintenance, 3 years Road Side Assist (RSA) and 3 years extended warranty. 4) Ground Clearance: One of the most annoying sounds a car owner can hear is the underbelly of the car scraping a speed breaker. No such problem with the Nissan KICKS though. With a best in class ground clearance of 210mm, be it tall speed breakers, potholes or no roads at all, the KICKS glides over all these undulations with ease. Also, with ample ground clearance, it doesn’t matter if you are driving the KICKS by yourself or with passengers and luggage. 5) Boot Space: Feel like a weekend getaway with friends? Or want to take your kids for a camping trip? The KICKS is versatile enough to accommodate all such needs with 400 litres of boot space. The KICKS’ rear seat can be folded to increase the size of the cargo area. So you know the Nissan KICKS is up for any adventure you plan for the weekend. To sum it up, the Nissan KICKS offers a superior package when compared to traditional SUVs. With first in class intelligent features, luxurious leather-wrapped interiors and peace of mind ownership package, the Nissan KICKS makes a lot of sense for buyers looking at upgrading to a premium SUV.